You've seen them in and around the Adirondacks, you've seen photos of them in wild places on Pinterest and Instagram, or maybe you've seen them decorating homes and businesses: rock cairns and rock stacks. Rock cairns are built by land managers on trails above the tree line to aide in overland navigation, whereas rock stacks are piles of rocks that are artfully or mindfully placed in a variety of locations. 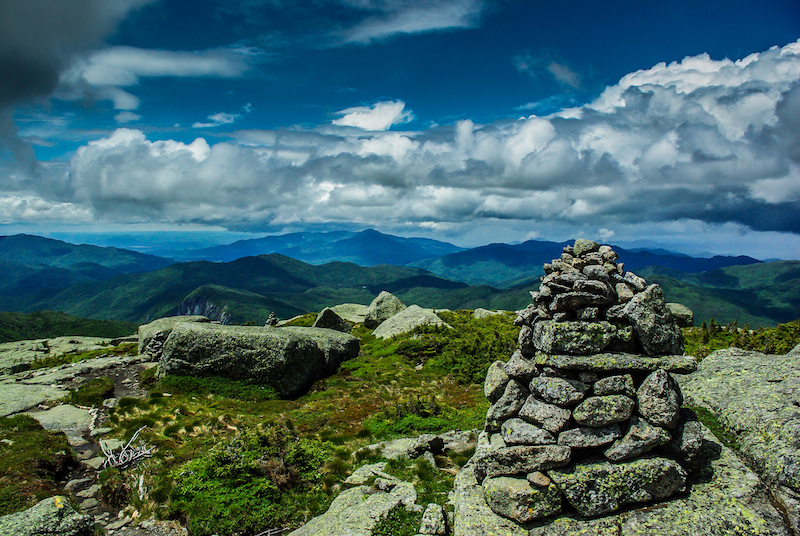 One purpose of a rock cairn is for guiding people. They are used in mountain and desert regions around the world to help guide hikers along paths and trails. Another use of cairn building is for rituals, burials, and memorials. In places of the world where soils are too hard to dig graves, people use rock piles to bury their dead. 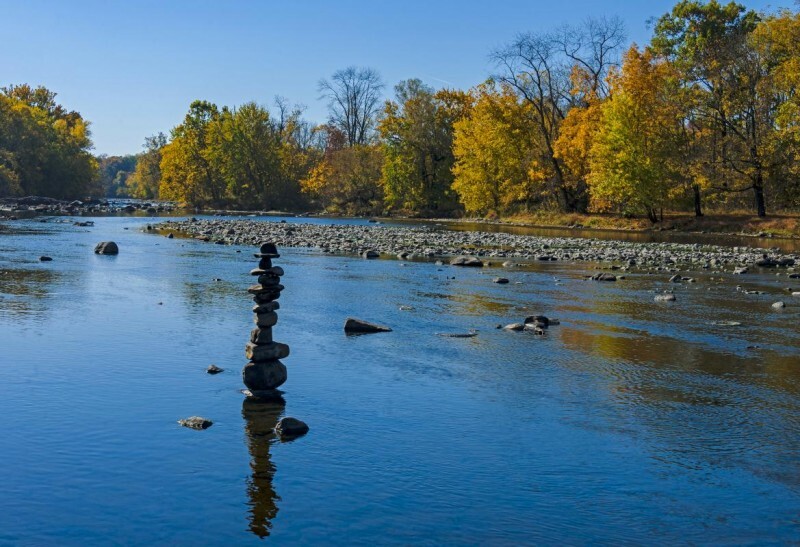 Recently, visitors to the Adirondacks have taken to stacking rocks along our Adirondack trails or waterways as creative art form or for meditation. Often, they build the rock stack, snap a few photos for Instagram, and leave. To some, these signs left upon the landscape are the same as graffiti carved into a tree. Stacking rocks for art and personal pleasure and then leaving them to mark the landscape does not meet with Leave No Trace ethics. Rock stacking in forests and on mountains could mislead hikers off trail and lead to dangerous results. Rock stacking can be detrimental to the sensitive ecosystems of rivers and streams. Moving rocks from the river displaces important ecosystem structure for fish and aquatic invertebrates. 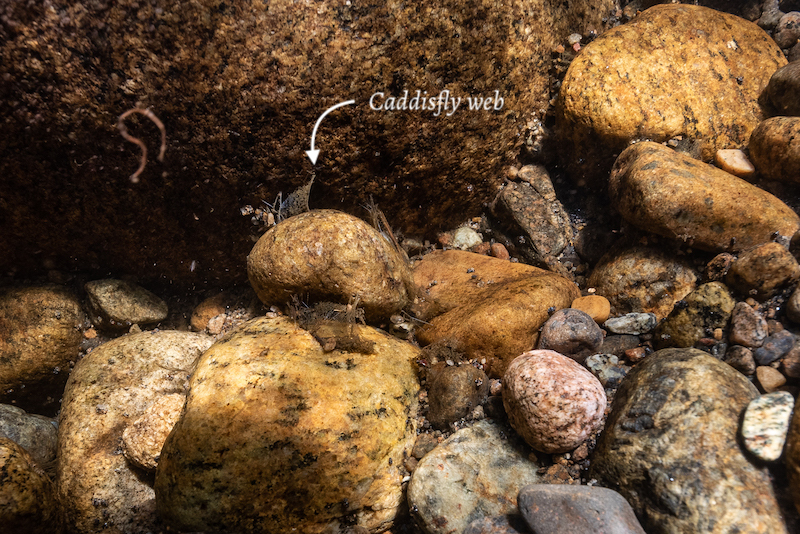 Many of our Ausable River fish species lay eggs in crevices between rocks, and moving them can result in altered flows, which could wash away the eggs or expose the fry to predators. Salamanders and crayfish also make their homes under rocks, and rock moving can destroy their homes, and even lead to direct mortality of these creatures. 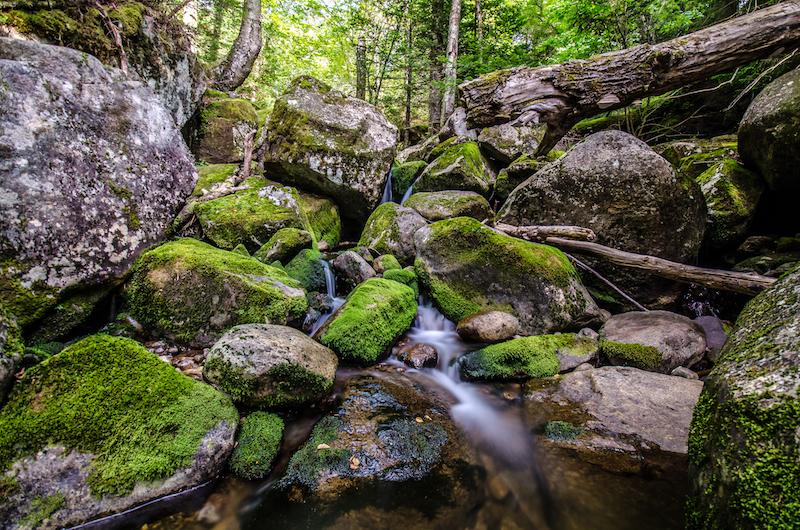 Every single rock is potentially a home to the larval stages of aquatic insects, including dragonflies, damselflies, mayflies, stoneflies, and caddisflies, and many others. They cling to rocks and capture drifting food particles. By moving and stacking rocks, the insects that are attached to or living on the rocks can be desiccated and burned by the sun. Most river rocks are coated in algae and moss, which provide food to insects and fish. This makes river rocks an important part of the river and stream life cycle, contributing to a streams' overall productivity. In addition to having ecological impacts, large-scale rock stacking can lead to increased erosion in riparian areas. Rock stacking may be detrimental to the ecosystem, but it can also be unsightly to other visitors to the wild areas of the Adirondacks. Though it may represent a spiritual or connection to place for the builder, it may ruin the aesthetics of the area and destroy the sense of discovery for the next visitor. Picture yourself exploring a river by canoe and feeling solitude, and then around the next bend is a billboard reminding you that someone else was here first. To some, these rock stacks stick out just as much. Consider finding another way to artfully connect with the river. Instead of making art, look for art within the natural world. Place a few leaves in an intricate pattern for the foreground of your photos. Try meditating on how the water moves across, around, over, and under the river stones. Pick up a rock and look at how many insects have made a home there, and then gently place it back in the same place with the same orientation. And if you decide to stack dry rocks from a river bank, take your photos, make your memories, and then put everything back the way it was. "By respecting the following recommendations we can keep our wild spaces wild, while enjoying rock stacking, and the freedom of expression that comes along with it. Leave What You Find, officially designated cairns need to be left in place. Altering these cairns in any way poses a threat to visitor safety, and the ethic of the area visiting. When making your own rock stacks stick to durable surfaces. Many times along streams and rivers, one will be walking in riparian areas. Use designated trails and durable surfaces to minimize impacts. When collecting rocks only collect ones that are loose from soils, sands, and silts. This will minimize the impact of erosion. Build your stacks, take pictures, and then return all of the used rocks to their original locations. Leave the area how it was originally found to maintain the wildness of the area. Pack out all trash, including food scraps. Remember that other people may be visiting the area while you are there. If listening to music consider using headphones to let nature's sounds prevail". We hope this has expanded your thinking on the subject, and hope you will leave the river landscape the same as how you found it, and take with you only memories when you leave.